Not very often is the band from high school the same one seen playing 10 years down the line. For Sub-Radio, these high school friends-turned-bandmates have been jamming together since 2009 and have a new EP coming out this spring. After high school ended, the guys – Adam Bradley, Matthew Prodanovich, Michael Pereira, Barry Siford, John Fengya and Mike Chinen – attended three different colleges, but kept the band as one of their top priorities. Their practices ranged from once a month to nearly once a week, driving almost two and a half hours crashing on one another’s couches and floors. “We all have a passion for music so it was worth it to us,” Chinen said. After releasing their first album, Same Train//Different Station, and a series of monthly singles, they’re back with their EP Head First. They took everything they learned from their six-month trial of releasing singles on a monthly basis and put those experiences into Head First. This time around they had the opportunity to take their time with the songwriting and recording processes, giving each song its own love and appreciation before moving onto the next. Head First is everything that Same Train//Different Station was, only with much more of a dance vibe. Some of their influences include Walk the Moon, Two Door Cinema Club, Misterwives and Smallpools – all bands that add unique elements to what would otherwise be classified as generic pop music – and these influences are heavily channeled throughout each track. 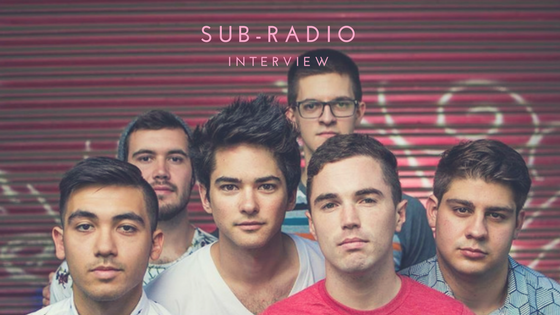 With a schedule for an April release, Sub-Radio’s latest EP has unique elements that translate both through their recordings and live on stage. It’s an EP that has the effortless pop feel mixed with an indie/rock sound that’s sure to bring the summer vibes a little early.